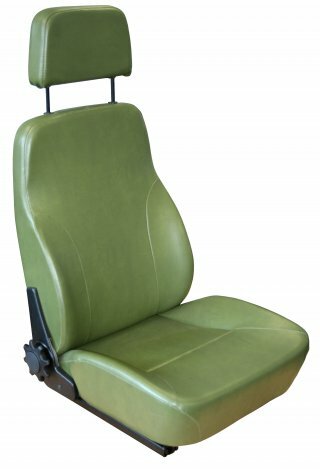 The Stratos 712 seat is a comfortable, lightweight seat commonly used as lower cost seating solution in military and emergency service vehicles. Available with a fixed backrest or reel type reclining mechanism and a low sided base cushion for easy entry and exit of vehicles. The ergonomic base features Sisiara® energy absorbing mesh which lessens driver fatigue and increases comfort. It features quality Enduro foam and a padded headrest.